Evangelist Rose Marie Rimson-Brown – Church Of God In Christ, Inc.
For over fifty years, she has been an active and celebrated gospel recording artist. 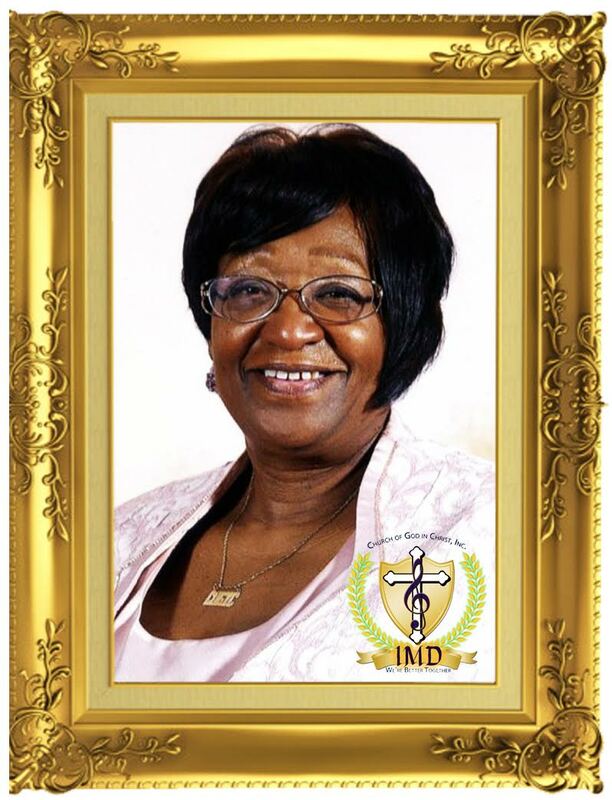 Known affectionately as “Auntie Rose” — Evangelist Rose Marie Rimson-Brown is an icon in the Church Of God In Christ International Music Department and the world. Evangelist Rose Marie Rimson-Brown was born and raised in Detroit, Michigan to Elder Booker T. and Corrine Rimson. She attended Detroit Public Schools, the Detroit Institute of Commerce, and Jackson Community College. She began playing piano at an early age and at age 12, she emerged as a pianist for New Jerusalem COGIC for many years. For her robust voice and musicality, Brown earned the title, “The Songbird of Michigan,” when she was presented in her first concert at the Lockett Memorial COGIC. It remains a title she is recognized all over the brotherhood today. Brown served as minister of music at the First COGIC for more than 35 years. She is presently an organist and minister of music at the Fountain Church Of God In Christ in Ann Arbor, Michigan. She also serves in the capacity of Jurisdictional CWC President of the Southwest Michigan Third Jurisdiction under the leadership of Bishop Samuel Duncan, Jr. and Supervisor Earlie Peppers. Under the watchful guidance of Dr. Mattie Moss Clark, Brown came to national prominence as a recording artist, as one of Southwest Michigan State Choir’s most admired soloists, known for her soul-stirring leads on “I Thank You Lord,” “Write My Name Above,” “I’ll Never Turn Back,” and “Shall Be Mine” among others. Among her many roles in the national Church Of God In Christ — both past and present, Brown served as an office clerk for the National Board of Trustees for more than 20 years. She has also served as a member of the Executive Board of the COGIC International Music Department during the Clark, Whittley, and Stevenson administrations. In 2009, under the auspices of International President Dr. Judith Christie McAllister, Brown was appointed Assistant Coordinator of the Heritage Singers, a musical aggregation charged with keeping our musicals traditions alive within the IMD. Brown has been blessed to appear on stage and in worship with countless gospel artists of today. She is revered and respected as a gospel music trailblazer and pioneer. There is nothing greater to Brown than to be sought out and known as a saved, sanctified, Holy Ghost Filled, anointed servant of the Lord, going about fulfilling God’s will. For her life. President Judith Christie McAllister and the International Music Department, Church Of God In Christ, are pleased to salute this living legend among us, who continues to inspire generations old and new, with her faithfulness to God and the conviction of her song. We love you “Auntie” Rose Marie Rimson-Brown.